The Bully Proof Kid is a School Assembly Program that does more than just preach at kids about bullying. 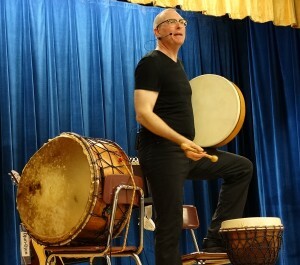 Mark Shepard uses his Drums, Songs and Stories in support of his 10 years of experience as a Master Practitioner and Trainer of Neuro Linguistic Programming (NLP) to entertain and educate while delivering powerful “take away” tools to assist students to defuse potentially dangerous confrontations with bullies while keeping their self esteem and self respect intact. As a chronic victim of bullying throughout elementary and middle school, Singer/songwriter, guitarist, percussionist, storyteller, storyteller, author, personal coach, NLP Trainer, Mark Shepard shares his story in a humorous and compelling way while sharing tips for dealing with bullies and other difficult people. In order for a Bully to exist, he or she must have a victim. As a kid growing up I provided that “service” to a wide range of bullies. I was not aware that there were certain thoughts and actions I was engaging in that attracted bullies and teasing. It was my timidity. My tendency to get my feelings hurt easily. It was my passiveness. When I started standing up for my self they started backing off. Strangely enough many of my former bullies wanted to be my friend once I stopped allowing them to push me around. Huh!?! Please understand me. I am not in any shape or form advocating fighting as a solution to bullying. 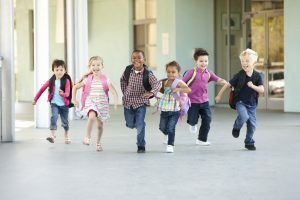 I am advocating learning how to stand up for yourself in ways that no longer invite aggression… I teach kids how to stay in their power in the face of intimidation and adversity PEACEFULLY yet EFFECTIVELY. The process first starts with you. Inside you. By changing how we perceive of bullies we can change our reactions to be more effective. If we understand what creates a bully then we can learn how to defuse him or her. If we understand how our own behavior attracts bullies we can change that. I also teach audiences some “Modern Jedi Mind Mastery” tools that can help defuse any bullying situation for the rest of their lives.